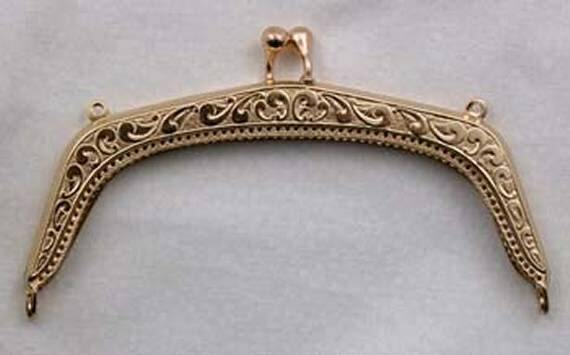 DIY - Stylish Victorian Handbag Frame for a truly unique purse! 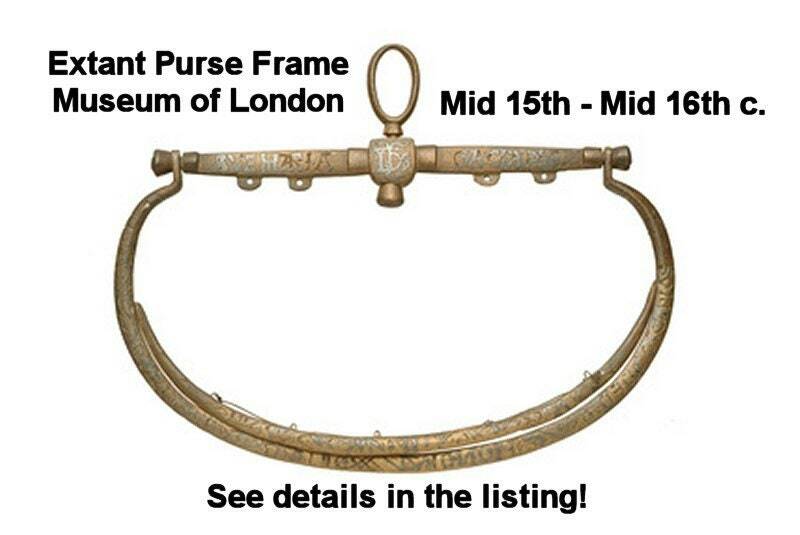 Made of polished brass with a scroll design, this ornate metal purse frame measures 5" across and and has hinged loops for a chain that you can make short enough for a hand-held purse or long enough for a shoulder bag. It measures approx. 4" x 3" when open. Clearance Sale - Only 1 Gold and 1 Silver Left! Available with or without a purse chain. Sorry we do not a pictures of the #3 twisted chain at this time. 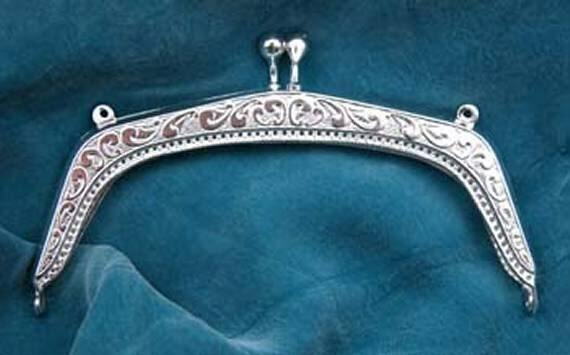 It is the only style available in silver plated. We have 3 designs/sizes of chain, so let us know if you want one of the other styles/lengths and you are not getting the silver frame.